“Henrietta Mears.” In Theological Orientations of Religious Educators, edited by Benjamin Kelly Forrest and Elmer Towns, Lynchburg: Liberty University Press, 2014. 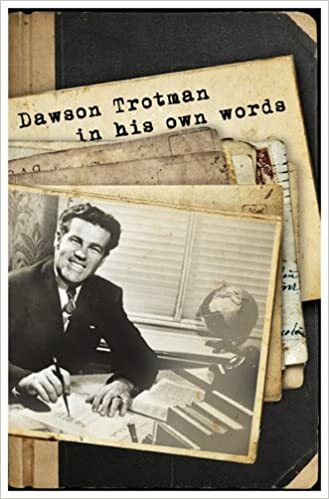 Dawson Trotman: In His Own Words, co-edited with Ken Albert and Susan Fletcher, Colorado Springs: NavPress, 2011.
Review of The Surprising Work of God: Harold John Ockenga, Billy Graham, and the Rebirth of Evangelicalism, by Garth M. Rosell, Fides et Historia, (Spring 2010). Review of The Great Awakening: The Roots of Evangelical Christianity in Colonial America, by Thomas S. Kidd, American Theological Inquiry, Vol. 2, Num. 2 (2009). Review of Aimee Semple McPherson and The Resurrection of Christian America, by Matthew Avery Sutton, American Theological Inquiry, Vol. 2, Num. 2. (2009). Update on “Fundamentalism.” in Wright, David F. (ed. ), Packer, J. I. (ed. ), and Ferguson, Sinclair B. (ed.). The New Dictionary of Theology, Nottingham: InterVarsity Press, 2008. “Mum on Inerrancy In The Post-War Parachurch.” A presentation within the American Christianity Session Panel entitled, Inerrancy and Twentieth-Century Evangelicals: Issues & Debates, Evangelical Theological Society Annual Meeting, Baltimore, MD, 2013. “Dawson Trotman, Fundamentalism, and Historiography,” Conference on Faith and History 2010 Bi-Annual Conference, George Fox University, Newberg, Oregon, October 2010. “After Just As I Am: Dawson Trotman And The Follow Up Ministry Of The Billy Graham Evangelistic Crusades, 1951-1956,” Awakenings and Revivals in American History Conference, Liberty University, Lynchburg, Virginia, April 2009. “Between Priesthood and Believer: Dawson Trotman and Philipp Jakob Spener on Experiential Bible Reading” Conference on Faith and History 2008 Bi-Annual Conference, Bluffton University, Bluffton Ohio, September 2008. I have written for each of these blog sites, newspapers, magazines. Here is a sample work from each site.